What does Great Migrations mean to you? 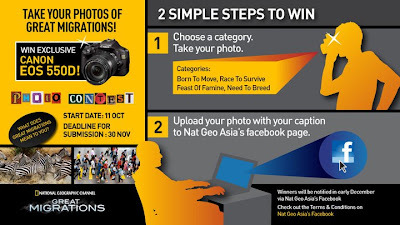 Great Migrations Photo Contest is only available in Singapore, The Philippines, Malaysia, Indonesia, Thailand, Middle East, Vietnam and Hong Kong. Each participant is allowed maximum of three entries only. Nice challenge for those living in the eligible countries!